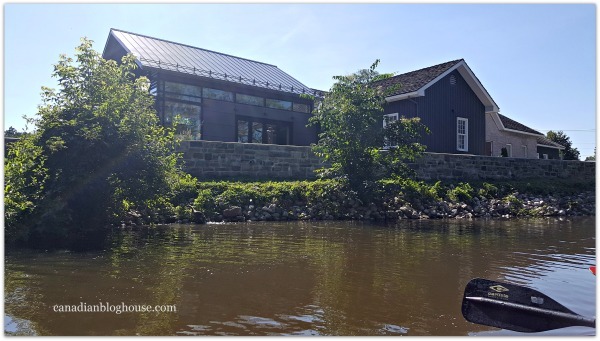 Canadian Blog House was invited to attend this media day with Outaouais Tourism, featuring the Gatineau Culture Trail and other Gatineau attractions. All opinions are our own. 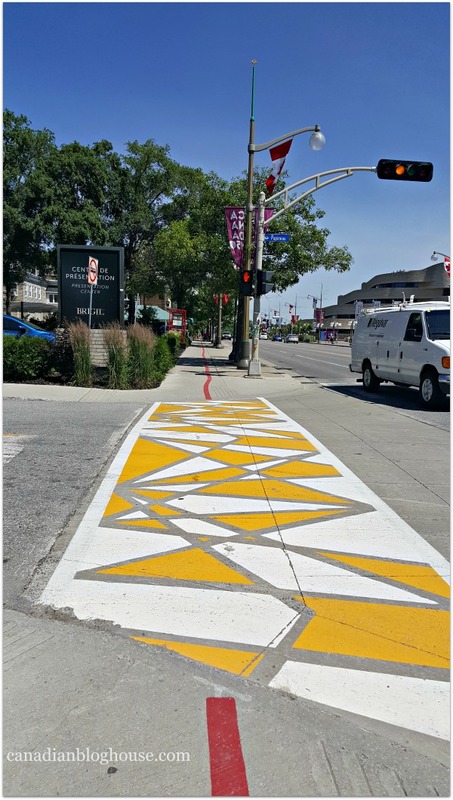 There’s no yellow brick road to follow in Gatineau but, there is a shiny new red line known as the Gatineau Culture Trail! Leading visitors on a 3km walk through Old Hull, Gatineau’s Culture Trail was inspired by Boston’s Freedom Trail. The Gatineau Culture Trail is just one of a number of exciting new additions to downtown Gatineau welcoming tourists from across Canada, and the world, to Gatineau in 2017. It’s no secret how much I love the Outaouais region, and this year, there’s even more to love about the Outaouais’ largest city. Just across the river from Ottawa, Ontario, Gatineau is hosting several special Gatineau 2017 events to help celebrate Canada 150. You may remember, back in March, I had the chance to visit Montreal with Outaouais Tourism to experience a behind-the-scenes tour of the creation of the sculptures for Mosai Canada 150. I was amazed at these giant structures then but, after three recent visits to Mosai Canada in Jacques Cartier Park, I still can’t get enough of this spectacular attraction. 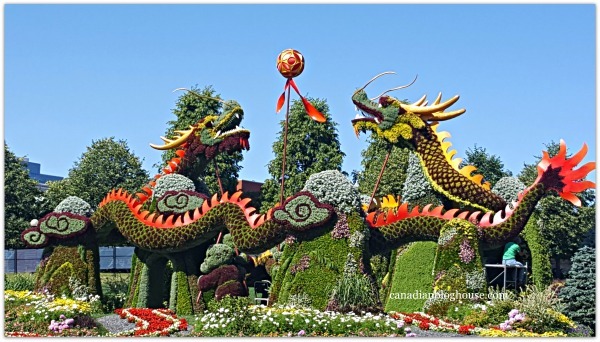 It’s by far one of my favourite special events here in the National Capital Region this summer! 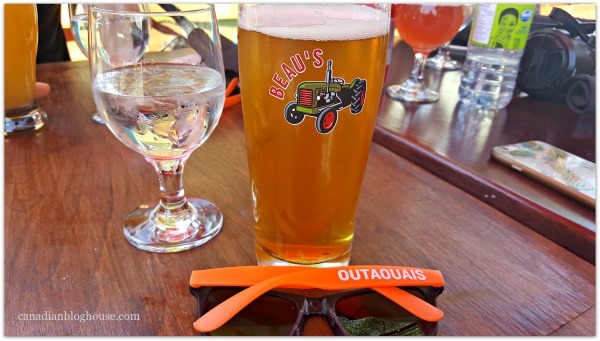 Thanks to Outaouais Tourism, I was recently invited on a day-long media trip to experience the Gatineau Culture Trail, Mosai Canada, and some of the other terrific attractions Gatineau has to offer its visitors. 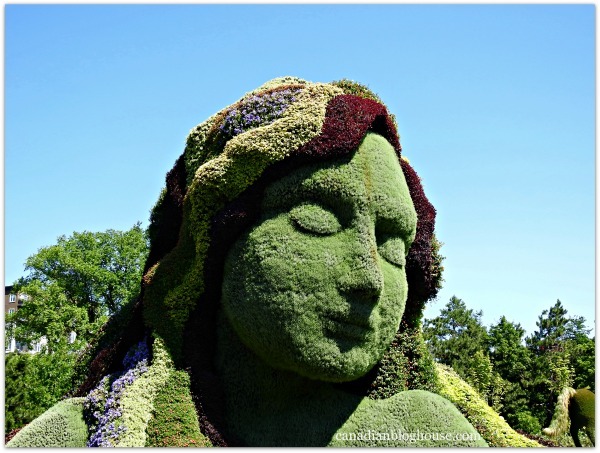 What I discovered that day is a whole new appreciation for Gatineau, and the great attractions, services, and restaurants they have to offer visitors, and local residents like me! Planning on visiting the Ottawa-Gatineau area in 2017? Gatineau Culture Trail – This 3 km path leads visitors through Old Hull, highlighting cultural sites, great eateries, fabulous breweries, unique shops, and popular tourist attractions. Aimed at getting visitors to venture a little further into the city, and experience some authentic French Canadian culture, the Gatineau Culture Trail helps visitors explore the vibrant urban area of downtown Gatineau, an area that so many visitors often miss. 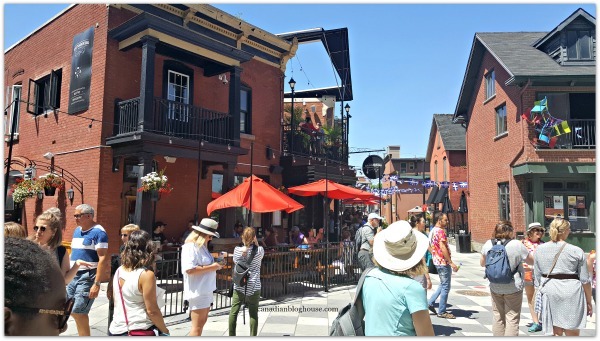 Having lived in this region for 6 years now, I was astonished to learn about the many areas of interest in Gatineau that I had no idea even existed. My tour here proved the adage that everyone should take time to play tourist in their own backyard! You’ll find the start of this Gatineau Culture Trail at the exit at Mosai Canada at Jacques Cartier Park. Start here and let the Gatineau Culture Trail lead you for 3km though some of the best the city of Gatineau has to offer! Helping to guide you along the way, you’ll find several red information stands that provide info and fun facts about what to see and do in the area. 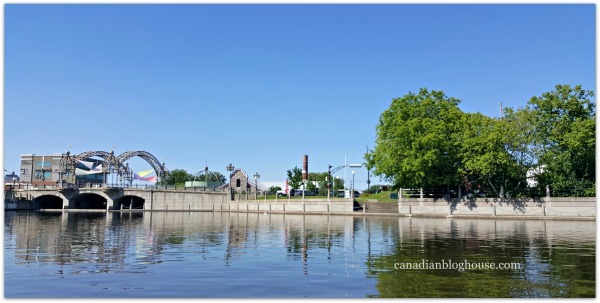 Outaouais Tourism – Located at the corner of Rue Laurier and Boulevard des Allumettières in downtown Gatineau, the Outaouais Tourism office is just steps from the start of the Gatineau Culture Trail, and should be included on your visit to Gatineau. Besides the lovely and welcoming staff at this office, you’ll find all kinds of terrific information on everything the Outaouais regions has to offer! They also offer a nice selection of gifts and souvenirs for those looking to take a little piece of the Outaouais home. 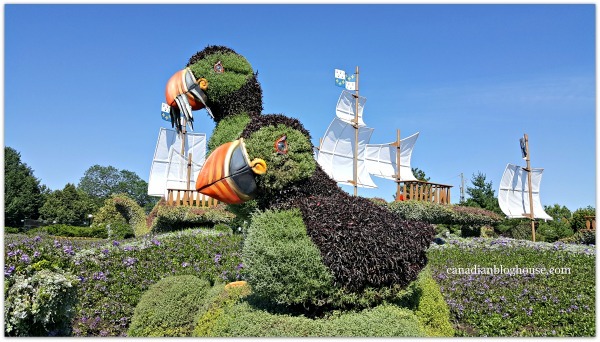 Mosai Canada – If you are visiting the Ottawa area this summer, you MUST make the short drive across to Gatineau to experience this mosaiculture wonder. You will find this FREE Canada 150 event at Jacques Cartier Park, from now until October 15, 2017. 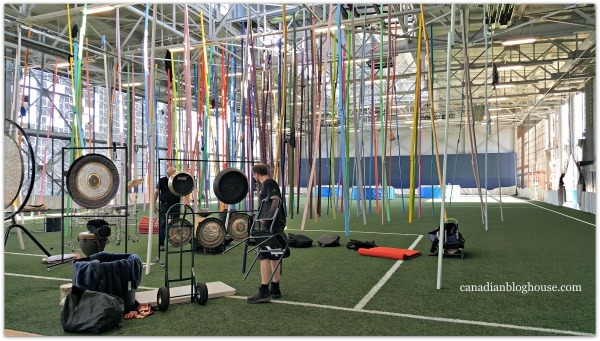 Featuring 40 plant structures, lining an (almost) 1 kilometre route, Mosai Canada reflects on 150 years of culture, arts, values and history in Canada. This is an event that appeals to all ages. The line up is usually long (it’s a very popular attraction!) but, moves quickly. 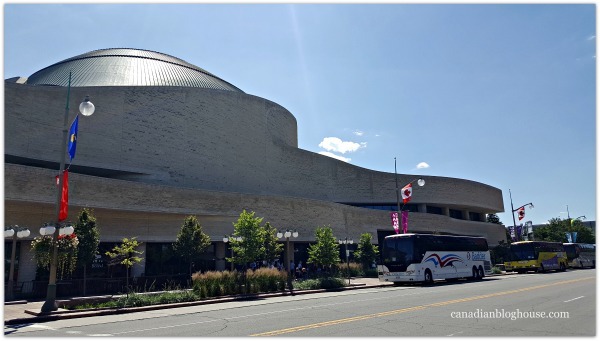 Canadian Museum of History – 2017 is an epic year for this beloved Canadian museum. 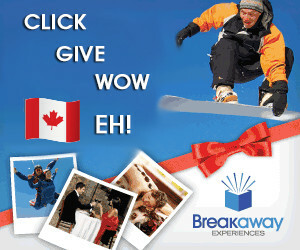 Featuring the newly opened signature gallery, “Canadian History Hall“, which “tells the history of Canada and its people from the dawn of human habitation to the present”, to the “Moments From 150 Years Ago” exhibit, and the “Hockey” exhibit, the Canadian Museum of History is hosting many fascinating exhibits in 2017. 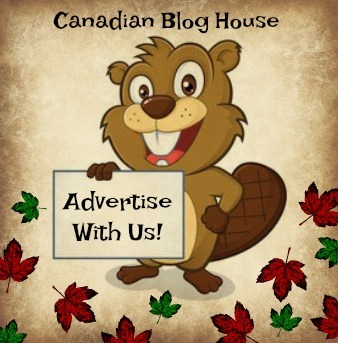 You need more than just a “night at the museum” in order to catch all of this great Canadian content! You’ll also find loads of interesting information on their website. While at the museum, don’t forget to take a stroll on the beautiful lawn and path down by the Ottawa River. You’ll catch one of the best views of downtown Ottawa, and the Parliament buildings, while there. STO – Known as the “Official Carrier of Gatineau 2017”, Gatineau’s public transit system has joined in on this year’s celebrations in a big way. 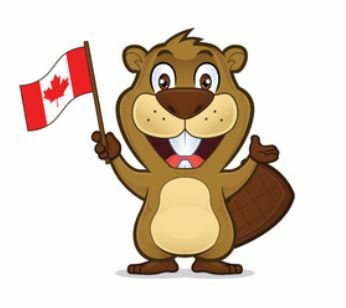 On Saturdays and Sundays, from July 1st to October 15th (as well as statutory holidays), residents and visitors can hop on the STO and use their FREE shuttle service that will take riders through the Vieux-Hull district, and as far as Mosai Canada. For those wishing to drive into Gatineau, there is free parking at Robert-Guertin Arena on these days. Park your car and let the STO take you to Gatineau’s 2017 festivities! Gastronomical Gatineau – I’ve spent plenty of time in and around downtown Gatineau, however, until this day of exploration, I never realized that, just a short walk on the Gatineau Culture Trail (or ride on the STO), from the Canadian Museum of History, there is a charming neighbourhood full of gastronomical wonders! 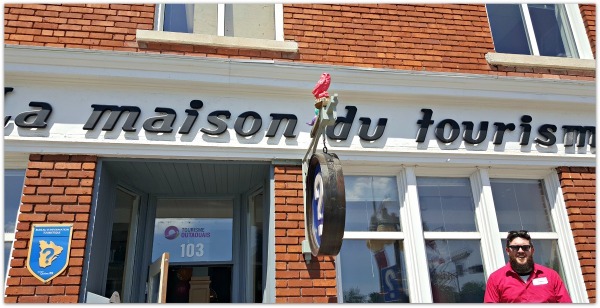 Featuring bistros, cafes, brasseries, and fine French Canadian cuisine, this area near the Portage, should be on every foodies list! Our group had the pleasure of visiting Rustiek on Rue Saint-Jacques. 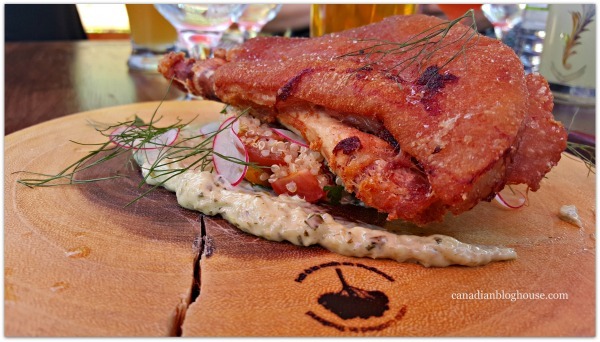 Serving tantalizing regional cuisine, and craft beer, Rustiek was a wonderful stop on our Gatineau Cultural Trail walk. We chose to sit upstairs in the open air seating area that overlooks this bustling neighbourhood. I took a chance and ordered the special that day, featuring roasted pig. Not something I would normally order at a restaurant, my meal was beautifully presented, and delicious. That sauce next to the roasted pig – divine! 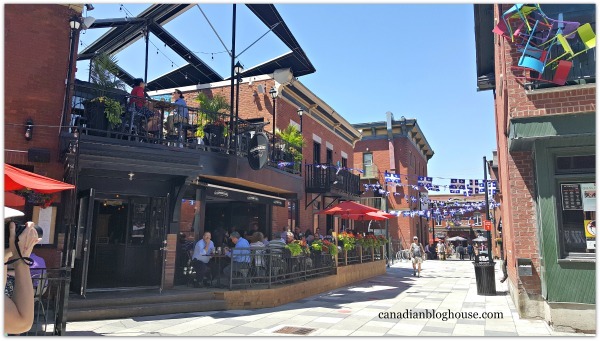 Others on our tour that day had the chance to experience one of 3 Gatineau restaurants in the Portage area: Cellier St. Jacques, Soif Bar à vin, and Les Vilains Garçons. I heard nothing but praise from those who ate at these establishments. Brasseurs du Temps – What’s not to love about a brew pub that features dozens of craft beers, tasty food, and a fantastic (FREE), beer museum? Commonly known as BDT to locals, Brasseurs du Temps, is where we had a chance to taste test some of their signature BDT beers (yum! ), learn a bit about the BDT brew pub and brewery, and take a quick tour of the beer museum. This unique and fascinating museum showcases the history of beer in the Outaouais region, and displays a huge amount of beer and brewery memorabilia, lining over 200 metres throughout the brew pub. Great food, great beer, and a great museum, BDT is a brew pub I will return to! 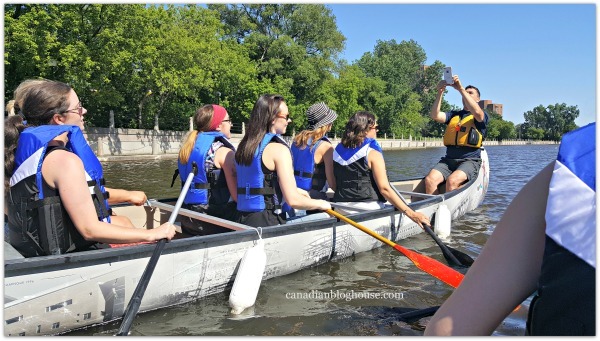 Gatineau Ville de Plein Air – This was a first for me – canoeing on a canal in the middle of downtown Gatineau! 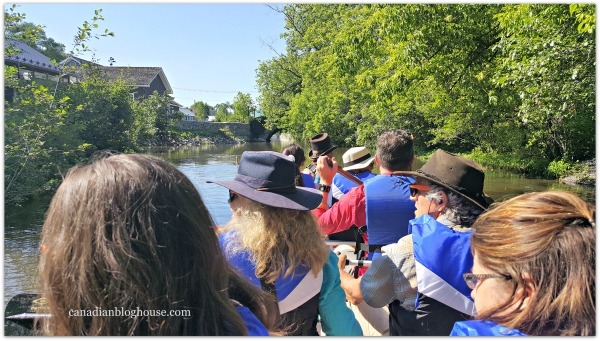 A thoroughly enjoyable experience, Gatineau Ville de Plein Air departs from the Brasseurs du Temps, and takes paddlers along Brewery Creek with a view of tree-lined streets, historic homes, and downtown buildings. This unique experience can be taken via canoe or rabaska (a large canoe made of tree bark, used by the Algonquin people). Our group had a great time exploring Gatineau from a whole other perspective, one that none of us had ever seen before. Our guides were top-notch, fun, experienced, and well-trained. Safety was paramount. These were tippy canoes after all! This was such an enjoyable experience! For those that would love to get out on the water, get a little exercise, and see a whole new side of Gatineau, don’t miss a chance to experience Gatineau Ville de Plein Air! 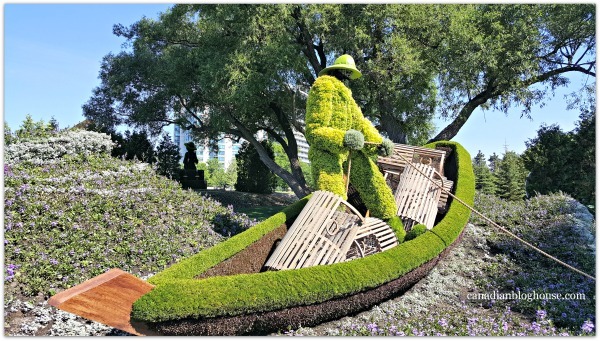 Don’t like to canoe? No problem! You can also discover Gatineau on foot, or by bicycle, with Gatineau Ville de Plein Air! 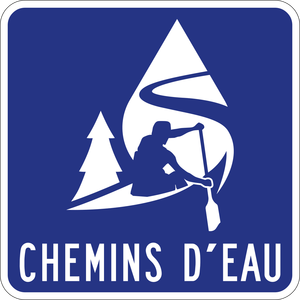 Les Chemin D’eau – Highlighting the natural and cultural treasures of the Outaouais, Les Chemins d’eau is this region’s first tourist route. Newly opened in June 2017, this 278-kilometre water-themed route, brings hope that Chemin d’eau will entice visitors to stay longer in the region, and experience more of the fabulous things the Outaouais has to offer. It’s a whole new way to discover the Outaouais region! “My waters have stories to tell. La Fonderie – Gatineau’s historic La Fonderie, home to a multi-sports surface and 2 soccer fields, was once home to the Hull Iron and Steel Foundries, the fourth largest iron and steel transformation company in Canada. In 2017, La Fonderie is hosting a unique art exhibition known as Endless Landscape. Organized by AXENÉ07, this exhibit is FREE for visitors. 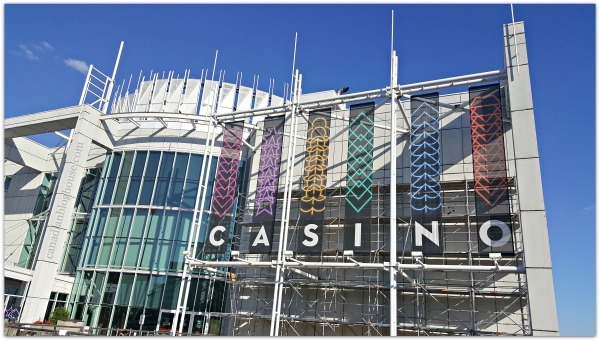 Casino du Lac Leamy – This popular casino is one of Gatineau’s gems. On the shores of Gatineau’s picturesque Lac Leamy, this casino knows how to take fun up a notch. 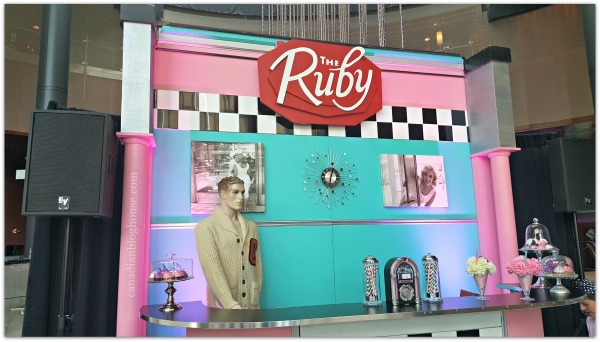 Always game to welcome visitor’s with a special theme, this summer, if you visit Casino du Lac Leamy, you’ll be able to experience the 20’s, 50’s and 80’s in style! Here you’ll find never-ending fun! 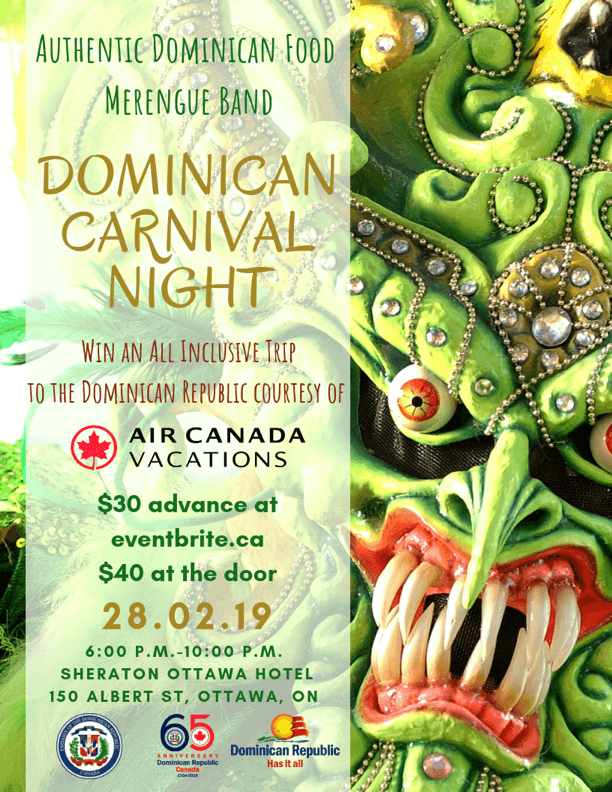 With a reputation for having some of the best restaurants in the area, and attached to the Hilton Lac-Leamy, this is the ultimate place to play and stay in Gatineau! Here’s an insider’s tip, thanks to my experience at the casino. If you get the chance, try your luck at one of the slot tournaments that Casino Lac-Leamy hosts. On the evening I was visiting the casino, I got to participate in my very first slot tournament. Did I win? Nope! No luck for me. In fact, I had way more fun participating in the slot tournament than I ever expected. And I have no doubt that those around me watching had just as much fun. You can’t help but laugh at a woman (me) frantically slapping a slot machine button with one hand, while constantly swiping the video screen with the other, in the hopes of hitting specials symbols and coins. Trust me, this takes quite a bit of co-ordination…something I was severely lacking in! My day in the Outaouais was one of the best travel experiences I’ve had to date. Sometimes we don’t have to venture far to experience some of the best that our world has to offer. A huge thank you to Anne and her team from Outaouais Tourism, and all the Outaouais partners, for hosting such a terrific day in Gatineau! wow, didn’t know all this existed in Gatineau, a hidden treasure for Ottawa. Yes! And this is just the tip of the iceberg, so to speak. So many great things to do in Gatineau! Thanks for stopping by, Marilyn! I have to try that canoe ride! Thank you Jason! I consider myself VERY lucky to live in this region. We have so many wonderful things to see and do here, and Canada 150 has brought even more great things to the area for residents and tourists. Wish you could visit…you and your family would love it here. Thanks for stopping by! I used to live in Gatineau and walked my dogs daily at Jacques Cartier Park. I’ll have to take my family over to see the giant structures and for some roasted pig, yum! So happy that you enjoyed yourself, although it would be hard not to with everything going on. Thanks for taking us along on for the ride. Thanks Sarah! Wow…had no idea you used to live in Gatineau! 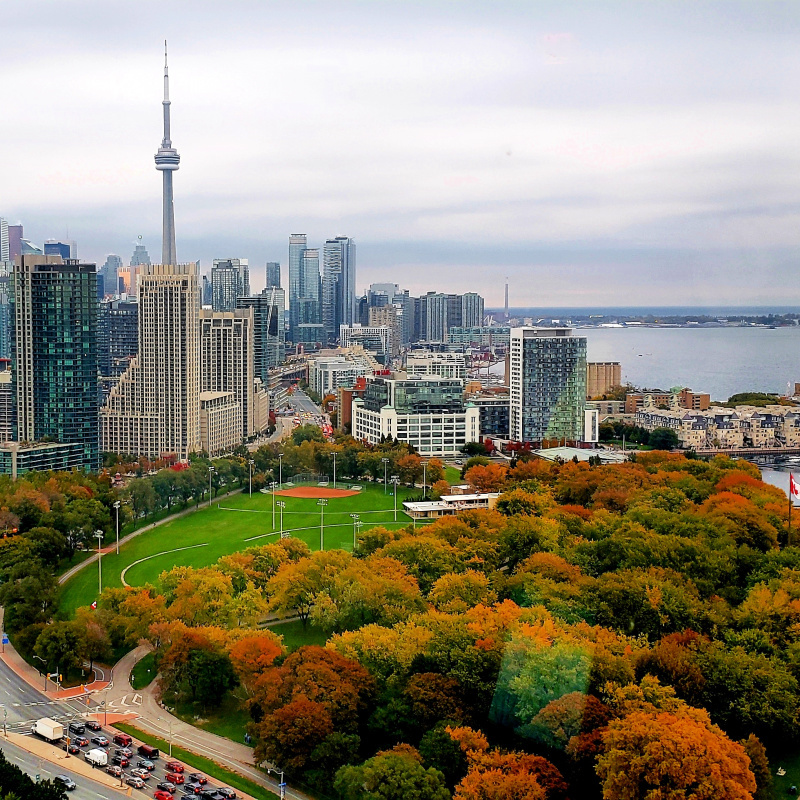 What a great place to walk your dogs – such a lovely park, even when Mosai Canada isn’t there. Yes, I sure hope you get over there with your family to see this great event! Thanks for stopping by, Sarah! Thanks sandy! I lived in Point Gatineau when I was first married and enjoy visiting the region. I used to take the boys swimming at Lac Leamy, long before there was a casino of course. It is a beautiful park now with a trail and great swimming. I didn’t know you lived there, Frances! I would have loved to have seen Lac Leamy back then. Yes, it is a beautiful park…and I just love walking around the lake on that pathway 🙂 Thanks for stopping by! I’ve been to Gatineau but never done any of these things other than the Casino. Amending my list now. The canoeing looks so fun and relaxing. Happy to hear you didn’t tip!